In the same way, it’s crucial that your website and all of its elements are optimized for search engines so that your target audience can find your company – and especially the solution they’re looking for. In this article, we’ll examine five SEO tips for healthcare software companies to consider and implement in order to see the best results for your digital marketing strategy. A few years ago, it was enough to simply choose relevant keywords for your audience, create a blog post, offer a call-to-action leading to a landing page, then sit back and wait for leads to roll in. Now? It’s 2018 and things have changed. Dramatically. Not only are search engine algorithms more intelligent in the results that appear – they also consider user intent and will suggest content that’s relevant. Another trend impacting the fall of specific keyword-focus content? Voice search. Along with that comes more complex and conversational searches. Particularly for the healthcare software industry, your buyer personas are searching for specific answers to their questions, or more accurately, a solution to their problem. When creating a content marketing strategy, you should first identify your company’s core topics. For example, if you offer software for a specific market such as hospitals, you may choose a core topic such as hospital software solution, that is if this is a solution you offer. From there you would select eight or more subtopics surrounding this core topic. Once you’ve written all of your articles, use them to create a pillar page that will not only serve as an informational long-form piece of content, but also a powerful tool for ranking on search engines. As search engines are working to deliver the most relevant and reliable results to searchers, this also means a change for optimizing your site for mobile. While it was once enough to simply have a mobile-friendly website, this is no longer the case. Often, companies would design one version of their website for desktop and another for mobile. Now, with 60% of Google searches being done through mobile, it will now crawl the mobile version first, even for those searching from a desktop. For sites that have previously hidden content on their mobile site because it was not optimize for mobile, that content won’t be crawled, which means many companies and website could miss out on ranking. The solution? By using responsive web design, ensuring that all pages load quickly, and not hiding content, your website will be fully available for a search engine to crawl and deliver relevant results to attract people to your site. While this is crucial for any company, healthcare technology specifically should keep in mind that your potential customers, healthcare providers, are serving an increasing population who are using their phones to access healthcare information. Knowing this, it’s imperative that you optimize for mobile both for user experience as well as for SEO. Even with so much video content already available, according to Hubspot 85% of people say they still want to see more. Particularly when speaking to a healthcare audience, who might be short on time or need complex information quickly, video content is worth the investment. You might already know that YouTube is the second largest search engine. In fact, many are skipping search on Google altogether and heading straight to YouTube for information. In addition to being found on YouTube, if your videos are optimized correctly, those videos will likely show up in Google search results as well, doubling your opportunity to be found by the right audience. Lastly, consider embedding your video content into a blog post, pillar page or other pages on your site, not only does this increase the time spent on a page, but it provides useful and relevant information for your audience. We mentioned the importance of voice search earlier when talking about content strategy for SEO. However, there’s even more to consider when it comes to this topic. Again, for those trying to reach a healthcare audience, it’s likely that they are looking for solutions quickly – whether it’s typing a quick search into their phone or using voice search. As concern for cybersecurity increases and healthcare continues to rely more on technology, ensuring that data and sensitive information is secure is an important topic when marketing your technology to healthcare organizations. While your website’s security doesn’t have a huge influence on page rank or search results, it’s possible this could change in the near future. In addition, having HTTPS over HTTP may impact whether or not someone can get to your site; depending on browser settings, some will give a warning that the “site is not secure” and allow the visitor to choose to “go back to safety”. For healthcare software companies, visitors to your site will also see whether or not your site is secure, and for healthcare organizations handling sensitive and private data for patients, this will likely be an important consideration when choosing new technology. Moving to HTTPS is a fairly simple process and it can help build trust with visitors, leads, and customers. 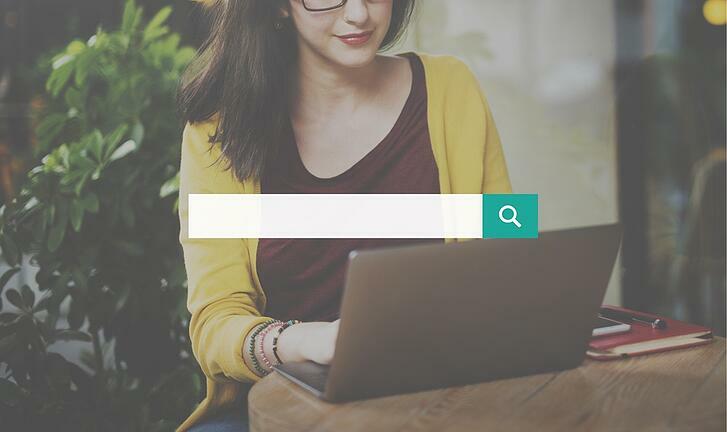 These tips for SEO are only the first step – there’s so much more in the world of search engine optimization to consider for your website. If you want to learn more about SEO strategy reach out to Spot On.